If you work in the service industry, for instance if you are a cleaner, decorator or plumber, you will regularly work in domestic environments. To keep your customers happy and their floors clean, it is important for you not to bring dirt and contaminants from your outdoor shoes into their home. This may be easier said than done, particularly if you are moving back and forth between their house and a van outside. The Mamba Trax Polypropylene Fibre Shoe Covers MT-X50 can be easily slipped over your shoes to protect both carpet and hardwood flooring from outside dirt. With elastic seams, the adjustable fit is suited for most workers across various industries. Made from polypropylene fibre rather than plastic, they make a longer lasting, more durable alternative to conventional disposable shoe covers. 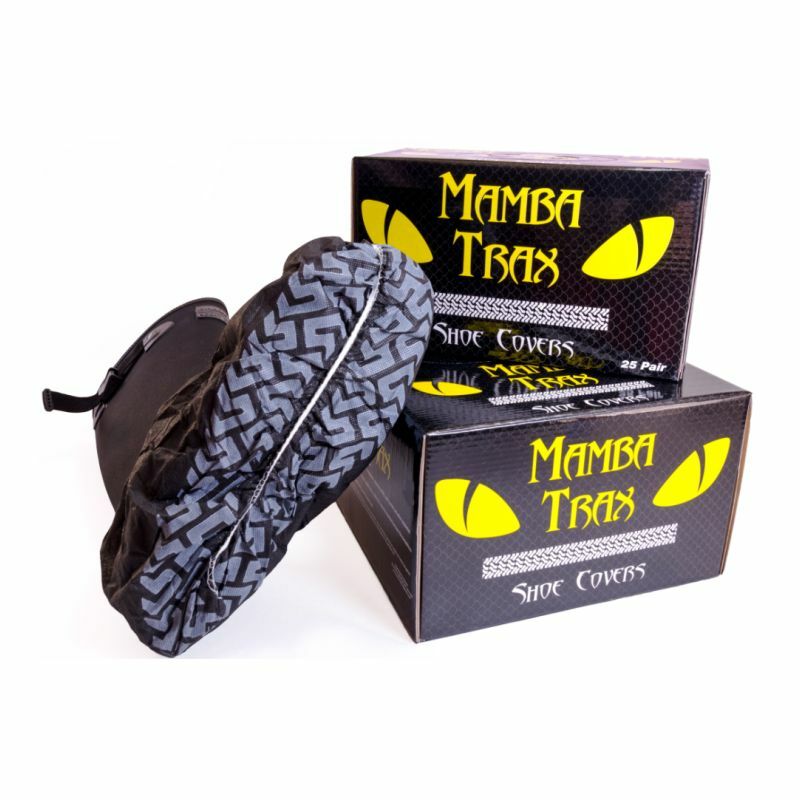 The Mamba Trax Shoe Covers can be really useful for plumbers and other lines of residential maintenance work. Whilst disposable shoe covers can easily get wet or torn and need to be changed, the Mamba Trax are made from durable polypropylene fibre. Longer lasting, they are therefore ideal for use in industries like plumbing where wear, tear and moisture is likely to occur. Able to protect both carpet and hardwood flooring from dirt brought in by outside shoes, the Mamba Trax are great for plumbers working in customers' bathrooms and kitchens, where maintaining hygiene standards is particularly important. Painting and decorating, like other similar lines of work within the service industry, often requires workers to move in and out of their customer's home. This can bring dirt, mud and leaves inside, resulting in an unhappy customer. You may, therefore, have to repeatedly take your outdoor shoes on and off, a nuisance if your hands are full carrying paint, ladders and other equipment. The Mamba Trax allow you to easily cover your outdoor shoes: featuring Grip Rite Trax to provide better footing, the anti-slip shoe covers can help you feel more confident and secure than conventional plastic shoe covers. Sold as a box of 25 pairs, you can easily replace your Mamba Trax Shoe Covers whenever you may need, or distribute them around your workforce. The Mamba Trax Shoe Covers are one size, and have an adjustable fit of up to a Size 14 work boot. 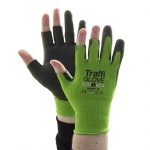 The Mamba Trax Polypropylene Fibre Shoe Covers arrive as a box of 25 pairs. Great slip on covers for my shoes enables me to take my twice weekly walk through and around the park. And simply take them off to go straight indoors.